Check out our NEW Flag Football!!! Welcome to CTAA's home on the web! 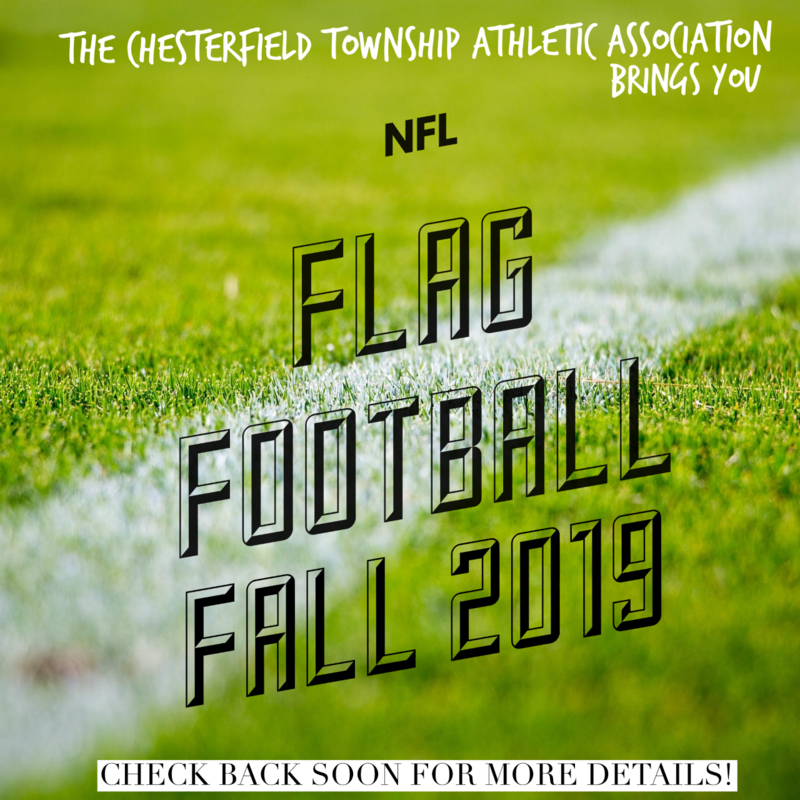 The Chesterfield Township Athletic Association (CTAA) is a volunteer organization that provides opportunities for Chesterfield Township youth to participate in Baseball/Softball, Soccer, Flag Football and Basketball.